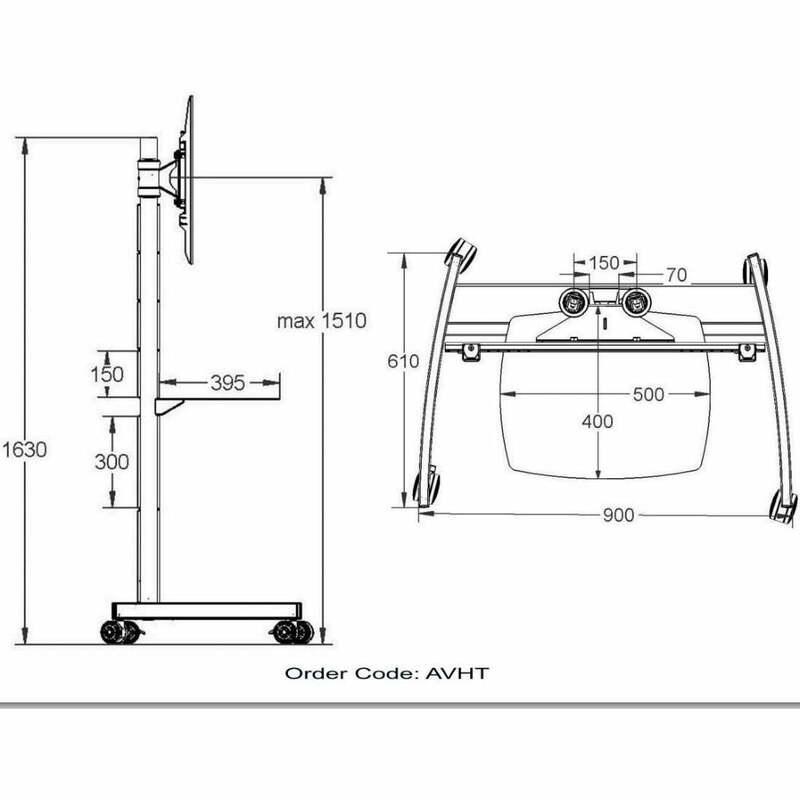 Unicol flatscreen, led, lcd and plasma display trolleys are made to be of high-quality build and construction. They are ideal either for the business, exhibitions, expo, for home use, office or boardroom and are designed with wheels to withstand the test of time. 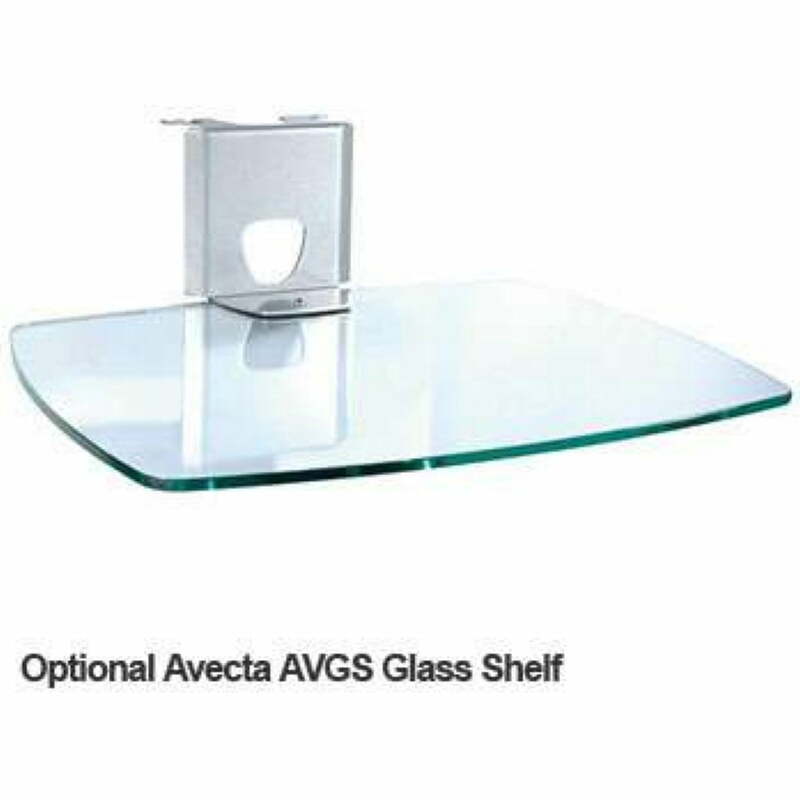 The Avecta modern movable floor panel range includes models with slim profile plinth bases and other versions that may suit your video conferencing requirements. 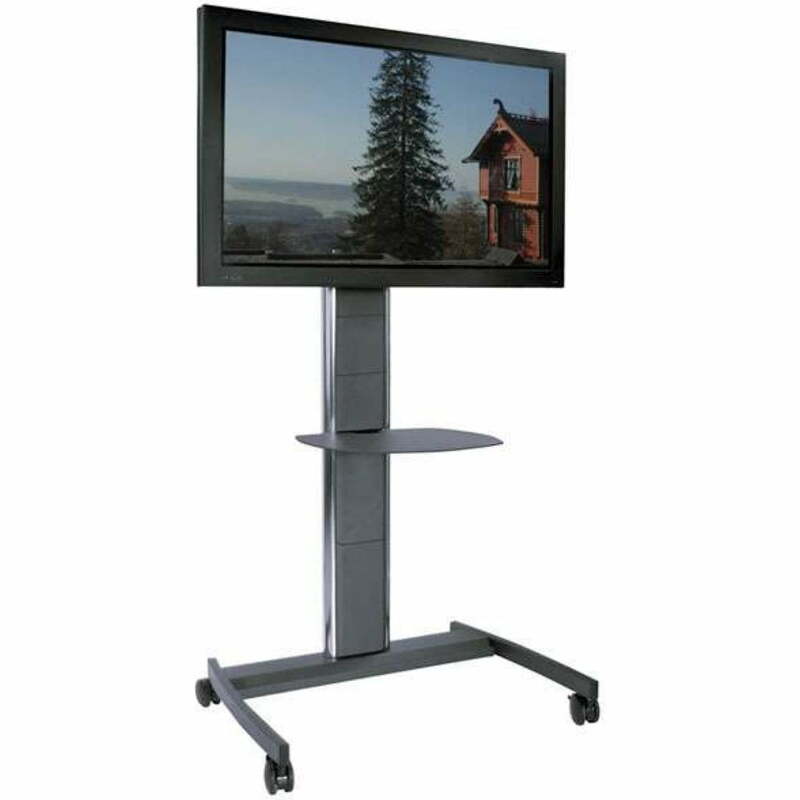 This unit is also highly flexible and adaptable that is also designed for professional use. It is made to harmonise with the best interiors. 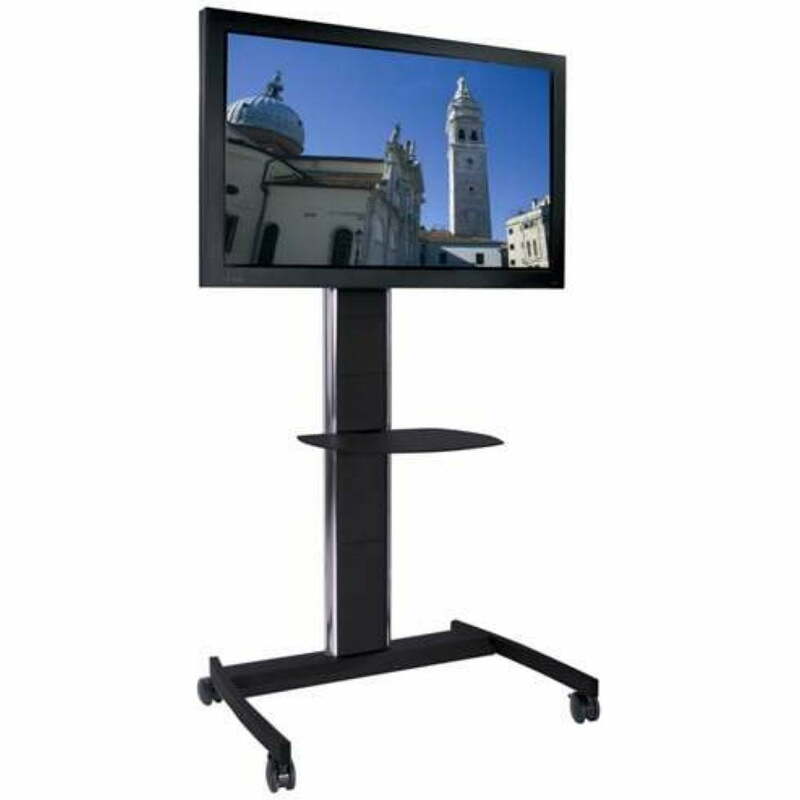 It has a mount for the screen and the height to the centre of the screen is adjustable from 126 to 151cm. Superior, high quality product with many advanced features. 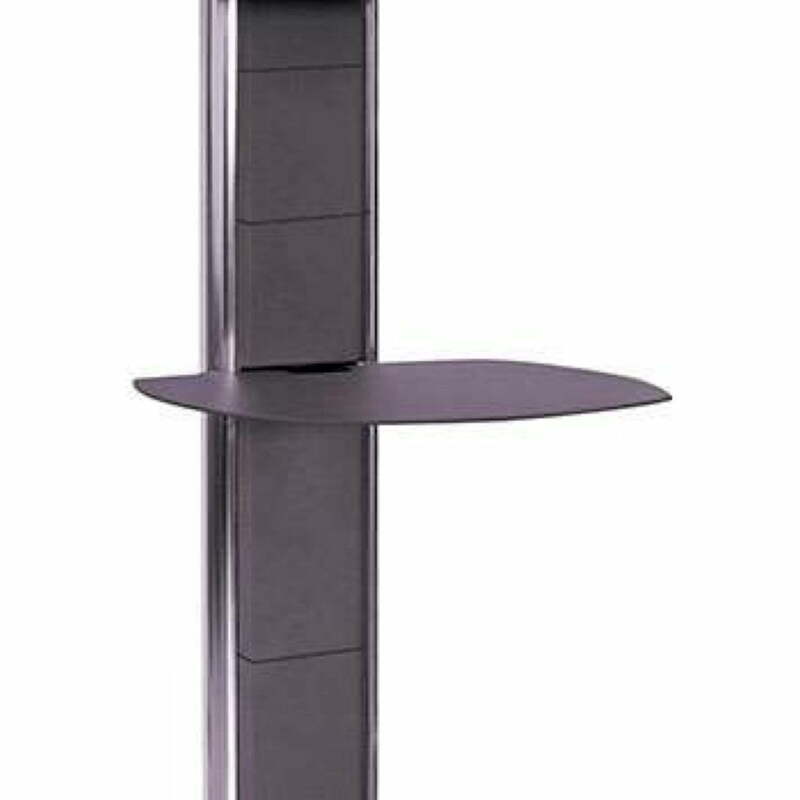 Height flexibility for screen, platform / cabinet units. Full cable management with integrated 4-way power socket. Multi-screen versions availablefor video conferencing and other applications. Comes in Diamond Silver or Sinterflex Black. Comes with metal equipment shelf as standard.